The cryptocurrency exchange has resumed services after a scheduled maintenance that was supposed to take two hours but instead took two days. This entry was posted in Uncategorized on January 13, 2018 by adminbtc. Blockchain-based startups, many of which are using their own crypto tokens, are taking aim at the centralized monopolies on the web today. You’ve probably been hearing a lot about Bitcoin recently and are wondering what’s the big deal? Most of your questions should be answered by the resources below but if you have additional questions feel free to ask them in the comments. Video 1: What Is Bitcoin & Why Should You Care? For some more great introductory videos check out Andreas Antonopoulos’s YouTube playlists, he is probably the best bitcoin educator out there today. Also have to give mention to James D’Angelo’s Bitcoin 101 Blackboard series. Lots of additional video resources can be found at the videos wiki page or /r/BitcoinTV. Limited Supply – There will only ever be 21,000,000 bitcoins created and they are issued in a predictable fashion, you can view the inflation schedule here. Once they are all issued Bitcoin will be truly deflationary. The halving countdown can be found here. Open source – Bitcoin code is fully auditable. You can read the source code yourself here. Accountable – The public ledger is transparent, all transactions are seen by everyone. Decentralized – Bitcoin is globally distributed across thousands of nodes with no single point of failure and as such can’t be shut down similar to how Bittorrent works. Censorship resistant – No one can prevent you from interacting with the bitcoin network and no one can censor, alter or block transactions that they disagree with, see Operation Chokepoint. Push system – There are no chargebacks in bitcoin because only the person who owns the address where the bitcoins reside has the authority to move them. Low fee – Transactions fees can vary between a few cents and a few dollars depending on network demand and how much priority you wish to assign to the transaction. Most wallets calculate the fee automatically but you can view current fees here. Borderless – No country can stop it from going in/out, even in areas currently unserved by traditional banking as the ledger is globally distributed. Trustless – Bitcoin solved the Byzantine’s Generals Problem which means nobody needs to trust anybody for it to work. Pseudonymous – No need to expose personal information when purchasing with cash or transacting. Secure – Encrypted cryptographically and can’t be brute forced or confiscated with proper key management such as hardware wallets. Nearly instant – From a few seconds to a few minutes depending on need for confirmations. After a few confirmations transactions are irreversible. Peer-to-peer – No intermediaries with a cut, no need for trusted third parties. Portable – Bitcoins are digital so they are easier to move than cash or gold. They can even be transported by simply remembering a string of words for wallet recovery. Scalable – Each bitcoin is divisible down to 8 decimals allowing it to grow in value while still accommodating micro-transactions. 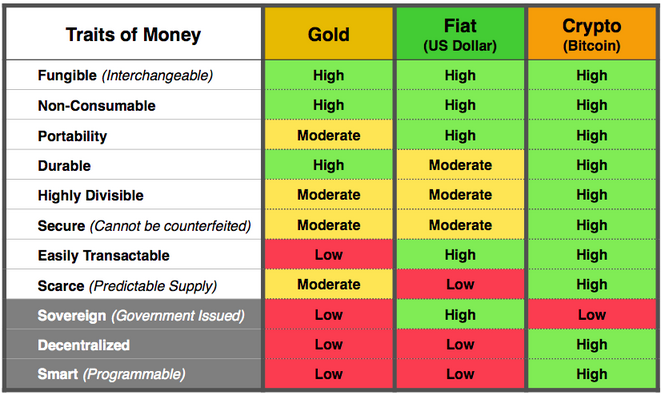 Some excellent writing on Bitcoin’s value proposition and future can be found here. Bitcoin statistics can be found here, here and here. Developer resources can be found here and here. Peer-reviewed research papers can be found here. The number of times Bitcoin was declared dead by the media can be found here. Scaling resources here, and of course the whitepaper that started it all. BuyBitcoinWorldwide.com and Howtobuybitcoin.io are helpful sites for beginners. You can buy or sell any amount of bitcoin and there are several easy methods to purchase bitcoin with cash, credit card or bank transfer. Some of the more popular resources are below, also, check out the bitcoinity exchange resources for a larger list of options for purchases. Here is a listing of local ATMs. If you would like your paycheck automatically converted to bitcoin use Cashila or Bitwage. Note: Bitcoins are valued at whatever market price people are willing to pay for them in balancing act of supply vs demand. Unlike traditional markets, bitcoin markets operate 24 hours per day, 365 days per year. Preev is a useful site that that shows how much various denominations of bitcoin are worth in different currencies. Alternatively you can just Google “1 bitcoin in (your local currency)”. With bitcoin you can “Be your own bank” and personally secure your bitcoins OR you can use third party companies aka “Bitcoin banks” which will hold the bitcoins for you. If you prefer to “Be your own bank” and have direct control over your coins without having to use a trusted third party, there are many software wallet options here. If you want easy and secure storage without having to learn computer security best practices, then a hardware wallet such as the Trezor or Ledger is recommended. A more advanced option is to secure them yourself using paper wallets generated offline. Some popular mobile and desktop options are listed below and most are cross platform. If you prefer to let third party “Bitcoin banks” manage your coins, try Coinbase or Xapo but be aware you may not be in control of your private keys in which case you would have to ask permission to access your funds and be exposed to third party risk. Another interesting use case for physical storage/transfer is the Opendime. Opendime is a small USB stick that allows you to spend Bitcoin by physically passing it along so it’s anonymous and tangible like cash. Note: For increased security, use Two Factor Authentication (2FA) everywhere it is offered, including email! 2FA requires a second confirmation code to access your account, usually from a text message or app, making it much harder for thieves to gain access. Google Authenticator and Authy are the two most popular 2FA services, download links are below. Make sure you create backups of your 2FA codes. A more comprehensive list can be found at the Trade FAQ but some more commons ones are below. Gyft Gift cards for hundreds of retailers including Amazon, Target, Walmart, Starbucks, Whole Foods, CVS, Lowes, Home Depot, iTunes, Best Buy, Sears, Kohls, eBay, GameStop, etc. Foodler, Menufy, Takeaway, Thuisbezorgd NL, Pizza For Coins Takeout delivered to your door! Coinmap, 99Bitcoins and AirBitz are helpful to find local businesses accepting bitcoins. A good resource for UK residents is at wheretospendbitcoins.co.uk. There are also lots of charities which accept bitcoin donations, such as Wikipedia, Red Cross, Amnesty International, United Way, ACLU and the EFF. You can find a longer list here. 1-3% savings over credit cards or PayPal. No chargebacks (final settlement in 10 minutes as opposed to 3+ months). Accept business from a global customer base. Convert 100% of the sale to the currency of your choice for deposit to your account, or choose to keep a percentage of the sale in bitcoin if you wish to begin accumulating it. Mining bitcoins can be a fun learning experience, but be aware that you will most likely operate at a loss. Newcomers are often advised to stay away from mining unless they are only interested in it as a hobby similar to folding at home. If you want to learn more about mining you can read more here. Still have mining questions? The crew at /r/BitcoinMining would be happy to help you out. If you want to contribute to the bitcoin network by hosting the blockchain and propagating transactions you can run a full node using this setup guide. Bitseed is an easy option for getting set up. You can view the global node distribution here. Just like any other form of money, you can also earn bitcoins by being paid to do a job. The following is a short list of ongoing projects that might be worth taking a look at if you are interested in current development in the bitcoin space. For more information check out the Bitcoin units wiki. Note: This is a community created FAQ. If you notice anything missing from the FAQ or that requires clarification you can edit it here and it will be included in the next revision pending approval. Welcome to the Bitcoin community and the new decentralized economy! This entry was posted in bitcoin, Bitcoin News on January 13, 2018 by adminbtc. I just transferred out my funds. I can no longer respect you. 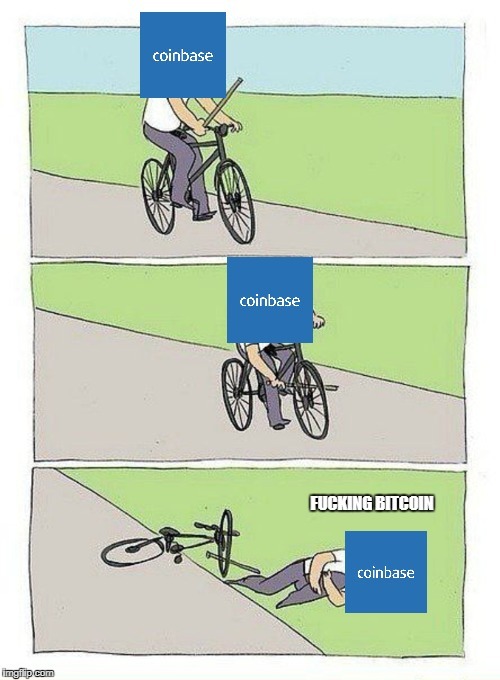 Goodbye Coinbase. I really can not stand how they are handling Bitcoin. It is clear they do not want a truly decentralized system to flourish, despite what their framework says. I am not a fan of secret agendas and greedy hands. It is possible to make money and be respectable, but Coinbase has chosen a different path. It saddens me because Coinbase was my entry point into crypto, and now I feel they’ve aligned themselves against what the entire system should stand for. Goodbye Coinbase. For your sake, I hope you can redeem yourself. But for now, you are losing a customer for a company with standards and values that actually reflect in their actions. A Few reasons: The way they handled the release of Bcash (Roger Ver defended the Insider Trading), The CEO Brian Armstrong is clearly against Bitcoin, They have yet to implement segwit in a timely manner. It is clear to me they would like to make money over sticking to their standards and values. As stated above, it is possible to do both. Why is nobody talking about Kraken being down for 3 days? Kraken has been down since Wednesday night. I suspect lots of people will have lost trust in them and they’ll pull out all their assets if it ever comes online again.